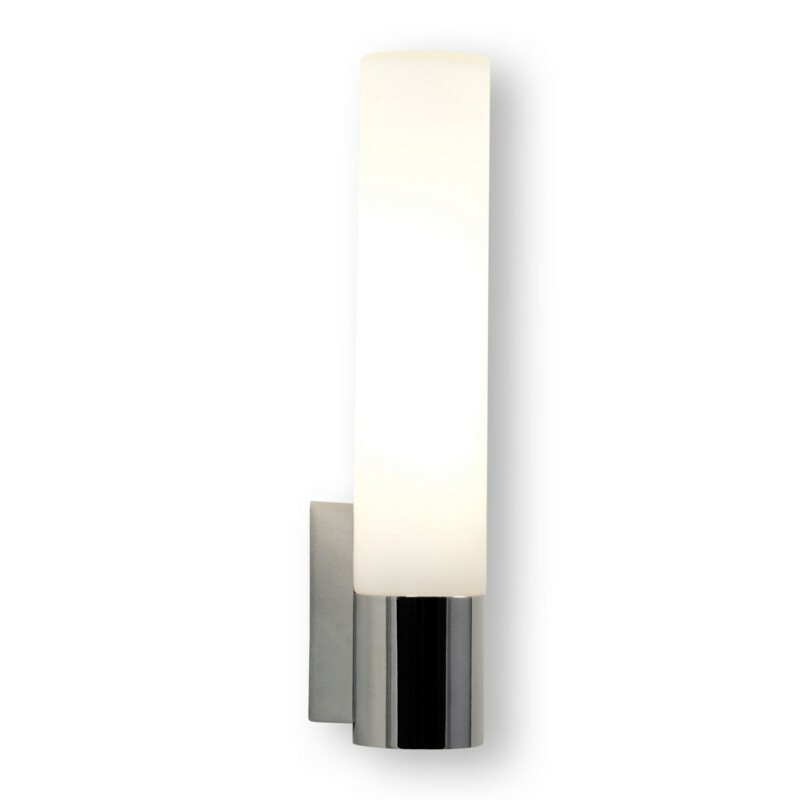 This wonderful bathroom wall light is very similar to the 10127 but is brighter and therefore particularly well suited either to a darker bathroom environment or that contemporary style bathroom that you want to be very light and bright. Presented in a polished chrome finish with a white glass diffuser, this light will illuminate your bathroom in a gentle pale light - perfect for use on either side of a mirror to brighten up those early mornings. A simple yet elegant design, this fitting is IP44 rated and is therefore suitable for use in bathroom zones 2 and 3. It is double insulated and includes integral electronic ballast.